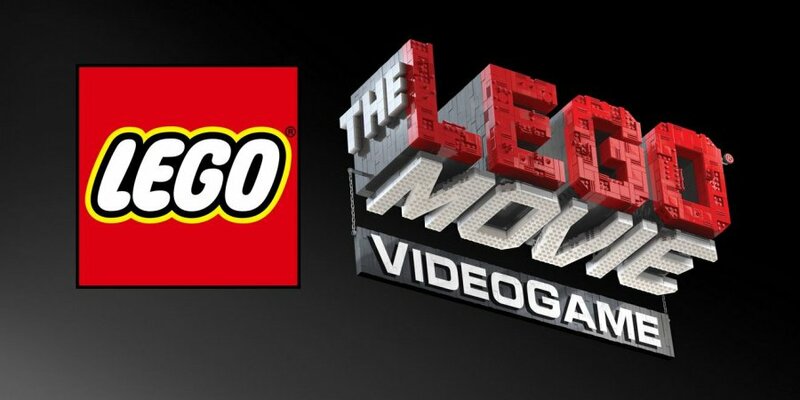 Warner Bros. Interactive Entertainment and TT Games have revealed The LEGO Movie Videogame, a brand new title set to launch on the Wii U and 3DS in 2014 alongside the release of the upcoming film, The LEGO Movie. You take control of the game's protagonist, Emmet, who is a less than average, normal guy going about his every day business before he is mistakenly identified as the most extraordinary person - in his case, LEGO figure - and the ultimate key to saving the world. Join Emmet on his quest to stop all evil and bring back harmony to the land. We’re thrilled to be able to give kids the joy of reliving Emmet’s adventures in becoming virtual Master Builders with The LEGO® Movie Videogame. 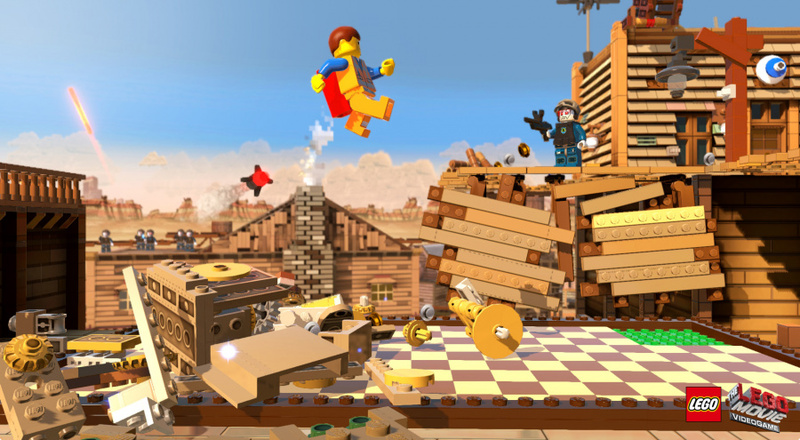 Players will be taking on the ultimate mission to save the LEGO world and use their virtual building prowess to build unimaginable sets and creations. Over ninety characters that feature in the movie will be included in the game, along with fifteen levels. A specific release date wasn't mentioned, but more information will follow closer to the game's launch. Will you be picking up The LEGO Movie Videogame? Let us know by building a block of comments below. If they made another Lego City Undercover I would invest in that. I must say they are keeping busy with all of these lego games. Does this mean it's Nintendo-exklusive, then? In any case, I might be interested in that, preferring an original setting like in Undercover over that of Batman, etc. Holy crap. Who greenlighted that name? One of the worse ever. My eyes and ears are bleeding. At first, i was kinda sceptic if Tt-games could pull off an original title without using a license, but LEGO City Undercover simply blew me away in every way. This title "could" end up as a movie license game, but i hope it comes close to Undercover. A movie game that might be good! What's next? Lego Movie Videogame Book Musical Screenplay? Here's the trailer to the Movie. Not bad, actually looks like stop motion, but it's computer animated so I find that very unique! @Zach777 You stole the words right out of my mouth. As soon as I saw the words "15 levels" I knew it wasn't going to be open world and I lost all interest. Give me another Lego City on 3DS, because those other Lego games don't cut it. Not to mention the title and premise screams "generic!" @Hale-Bopp I doubt it would be open world, but LCU also has 15 levels. Weird. That totally looks like stop motion! Due to the humor, animation style, and pop culture references, it kind of reminds me of a clean version of Robot Chicken. I'm definitely interested in the movie now...we'll see how things go with the game! EDIT: Also, I'd like to say to everyone that I'm guessing the name is intentionally generic and ridiculous sounding. It's kind of like the "Scary Movie" series (and other associated movies). I'm not saying it's the best choice, but I think they're trying to be over-the-top with it and maybe even a bit satirical. @Zach777 Hell yes. I need more Chase McCain in my life. After the Legends of Chima, I don't trust TT anymore. I'm a fan of Lego Batman 2 : DC Superheroes ... Should I give Lego Undercover a try ? Is it CoOp? Saw the movie trailer somewhere recently, wasnt impressed but the kids were so Ill see it. TT is releasing this game next year? I was really hoping for a Lego Hobbit game to correspond w/ the release of the 3rd and final movie. Oh well, I guess they'll get to it eventually. I want to play as Smaug and destroy everything. @GearsOfWarU - Lego City U is single player only. this is great news. The trailer was super awesome in a really clever way. Pop Culture Reverences, Stop Motion, Lego Figures with well known damages and Laser Effect entirely made of tranculent Lego pieces. What not to love? It's Street Fighter: The Movie: The Game ALL OVER AGAIN! Anyway, I didn't know they were making a LEGO Movie. "As soon as I saw the words "15 levels" I knew it wasn't going to be open world and I lost all interest." I wouldn't count that out just yet...Lego City Undercover was open world, and it was also divided into a relatively small number of levels. They're not mutually exclusive, so don't lose hope! All I'm saying is don't lose hope. LCU had 15 "levels" as well, and was also open world. The terminology they're using can be a bit misleading, but so far it's sounding a lot like LCU to me, and I'm waiting to be proven wrong before I worry too much. I'm a LEGO fanatic. I'll buy this. Street Fighter: The Movie: The Game. As soon as i saw "1980's space guy" i was hooked, i still have a few of them in storage lol! Going to watch this for sure, i'll see what the Wii U version offers in terms of gameplay as undercover was simply the best LEgo game ever. @bezerker99: Only good this time. I hadn't even heard of this movie before the game announcement...but the trailer was AMAZING! After LCU they've got a lot to live up to, it seems. Awesome! It should be great! what is the next lego game for the wii u? As someone answered, it's single player, but I can highly recommend Lego City: Undercover! It's simply an awesome game, with big and nice open world, high replayability (did i spell that right? ), thousand of things to do and places to see ..something and more for everyone! I had my doubts before getting it, as it was my first lego-game, but I liked it very much. @BATRA LEGO MARVEL SUPER HEROES I believe. Watched the movie trailer repeatedly and I love it. Another Lego game of an original Lego setting, exclusive to Nintendo? We're getting spoiled. Not even sarcastically. It won't be a Lego City beater,but I can see it being a pretty decent game in it's own right. I'll have to see the movie first before deciding. I'm still kind of skeptical about the movie. But, as mentioned before, a Lego City Undercover sequel would be MUCH appreciated and I would welcome it with open arms. i'm pretty sure it really is stop motion, they're just editing it with computers for stuff like the facial expressions .